Starbucks didn’t just over-expand beyond the sustainability limits of their target market; they over-expanded beyond the sustainability limits of their own corporate infrastructure. As they opened more and more stores, their product became less and less consistent. Without a consistent product, how could they possibly maintain consistently high levels of customer satisfaction? They can’t — and I believe that’s what hurt Starbucks more than anything else. At least that’s my take on it. I travel quite a bit, so I’ve been a witness to that inconsistency for quite some time – one store at a time. Michael Porter agrees, noting in Competitive Advantage that there is a common trap for niche businesses that grow rapidly. He calls it becoming “stuck in the middle” — you aspire to reach masses and expand, and walk away from the niche focus that gave you initial success. By trying to appeal to everyone with many products, you lose what made you appeal to the few. Agree. 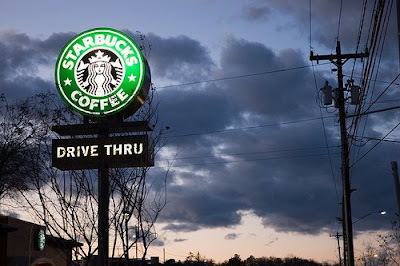 It’s not so much they stopped being Starbucks, everyone else just started being Starbucks too and caught up. Starbucks became too much of a slave to what public investors wanted – growth. I believe they sealed their fate when Howard took them public. He wanted to have his latte and drink it too. Too bad. You also make a great point about how the Starbucks “experience” got commoditized, on top of everything else. Now let’s see what Howard does – should be interesting. Thanks, great blog, and all the best. Thanks, Terry. BTW I’m in northern Maine this week, took the kids to a McDonald’s … and damn if the place didn’t look exactly like a Starbucks. Something about green, brown, wood and steel makes me feel like I’m getting more for my money.